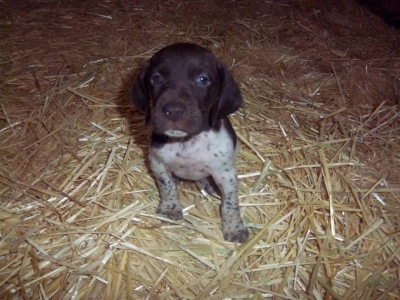 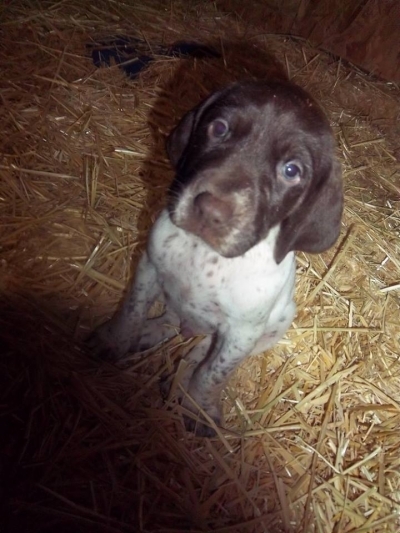 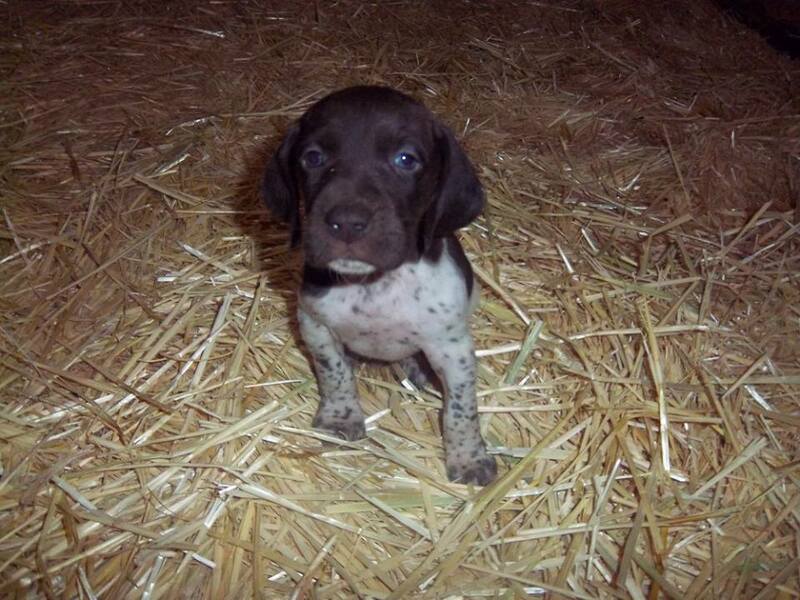 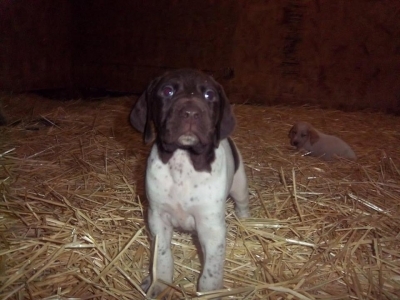 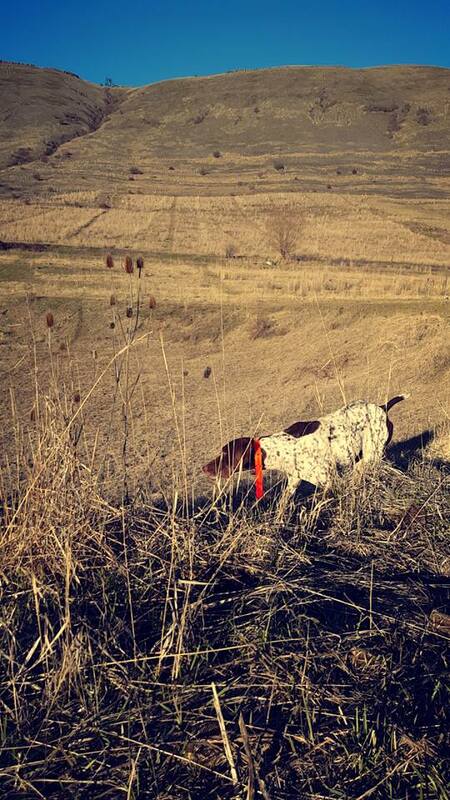 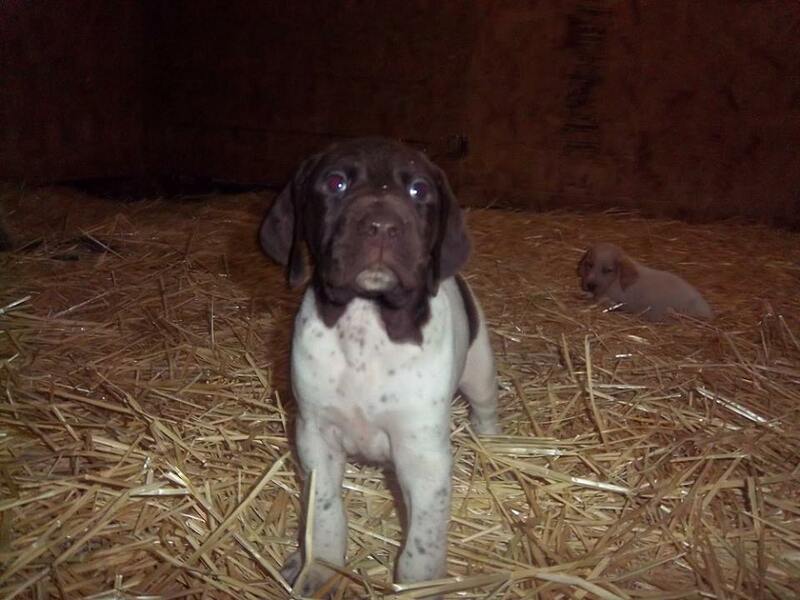 German Shorthair Pointers perfect for upland game bird hunting! 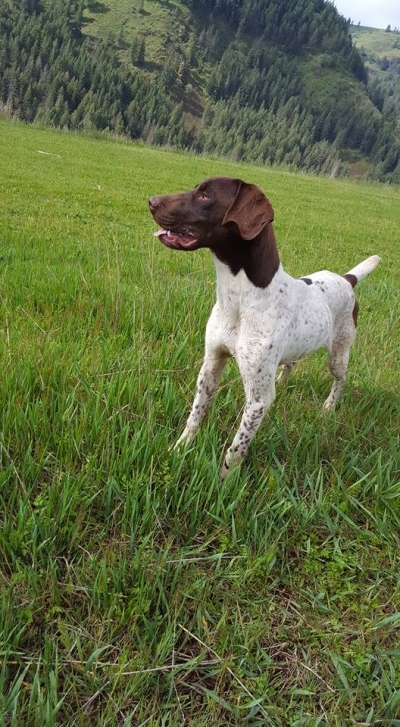 We were extremely fortunate to have purchased a very fine line of German shorthair pointers when we first got started in the upland game bird hunting business. 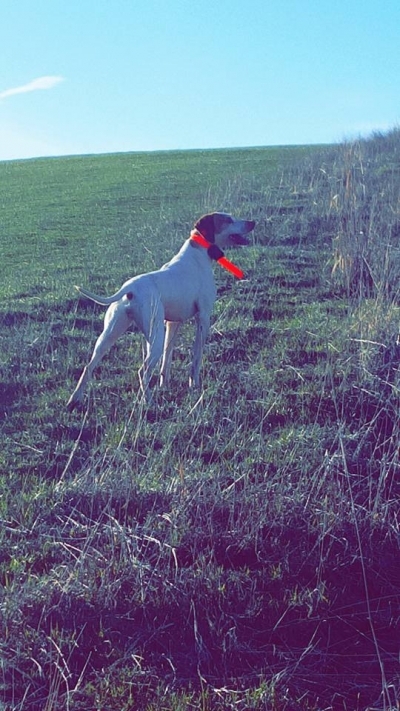 Having a lot of really fine Kennels with equally fine dogs nearby has really helped our breeding program. 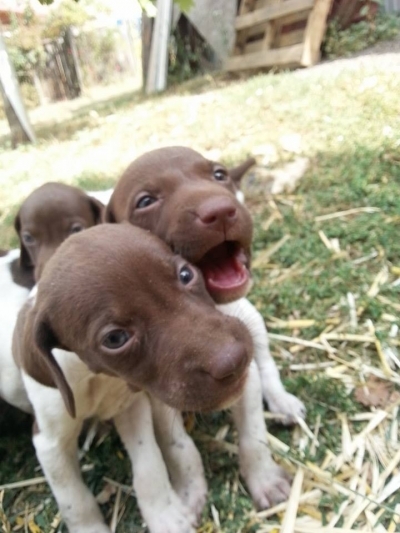 In the past eight years, we have sold hundreds of dogs to our members, guests, and other interested dog lovers. We keep about ten dogs on the ranches for our hunters use. 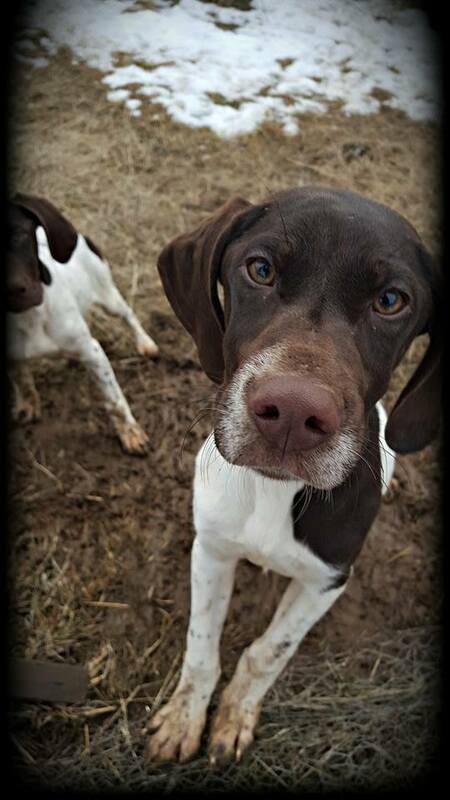 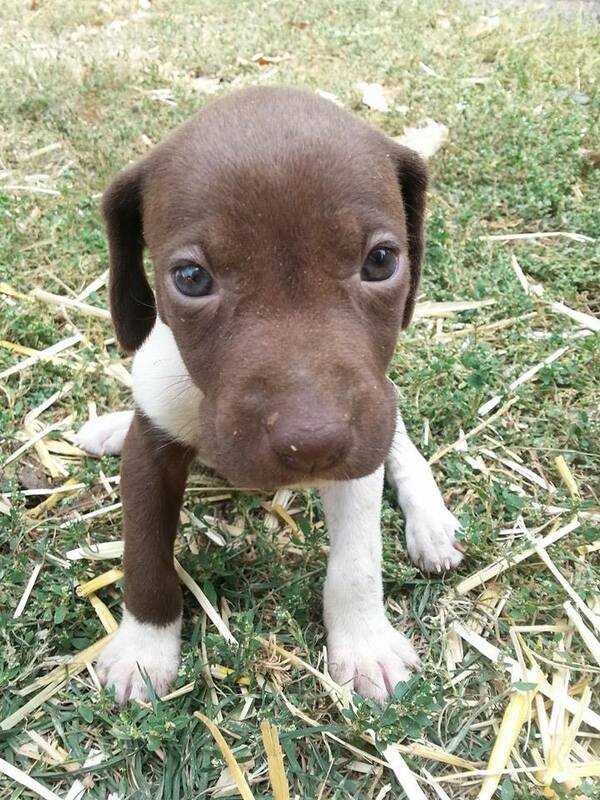 When our guests call and book their hunts they can also reserve a hunting dog if needed. We have outdoor kennels with runs for our guest to house their dogs while not hunting and indoor travel kennels when the weather outside is too cold. 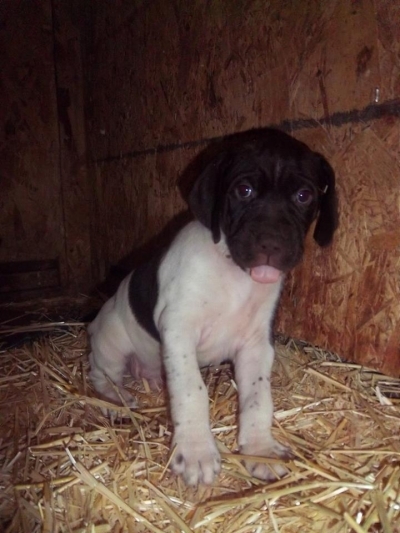 8-week old puppies are $700.00 each male or female. 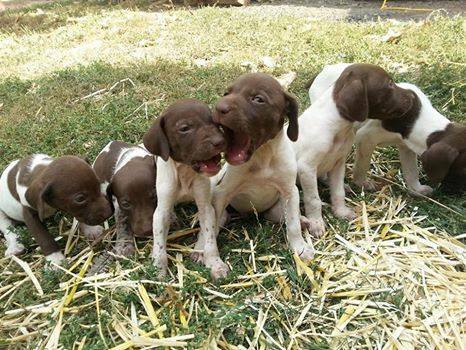 Contact Us To Reserve Your Hunting Partner Today!